Ben Nelson moved to Harlem, New York at the age of nine. In 1958, he joined a doo wop group called The Five Crowns. Later that year, The Drifters manager fired the members of the group and replaced them with The Five Crowns, who had performed several engagements with the Drifters. Nelson co-wrote the first hit by the new version of the Drifters, "There Goes My Baby" (1959). He also sang lead, using his birth name, on "Save the Last Dance for Me", a song written by Doc Pomus and Mort Shuman, "Dance With Me," "This Magic Moment," "I Count the Tears," and "Lonely Winds." 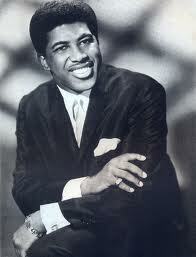 Ben E. King only recorded ten songs with the The Drifters, including a non-single called Temptation. In 1960, he left the Drifters after failing to gain a salary increase and what he felt to be a fairer share of the group's royalties. At this point he assumed the more memorable stage name Ben E. King in preparation for a solo career. Remaining on Atlantic Records, King scored his first solo hit with the stylish, Latin-tinged ballad "Spanish Harlem" (1961). "Stand by Me" was his next recording. Written by King along with Jerry Leiber and Mike Stoller, "Stand by Me" was voted one of the Songs of the Century by the Recording Industry Association of America. "Stand by Me" and "Spanish Harlem" were named as two of The Rock and Roll Hall of Fame's 500 Songs that Shaped Rock and Roll and were both also given a Grammy Hall of Fame Award. His other classics are Don't Play That Song (You Lied) (which was covered by Aretha Franklin in the 1970's), Amor, Seven Letters, How Can I Forget, On the Horizon, Young Boy Blues, and many more. King's records continued to place well on the pop charts until 1964. British pop bands began to dominate the popular music scene, but King still continued to make R&B hits. 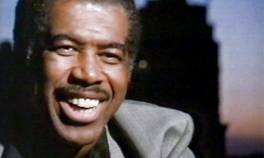 In the summer of 1963, Ben E. King had a top 30 national hit with the powerful "I (Who Have Nothing)," a song that reached the top 10 on New York's 1 station, The song has been covered many times, notably byJohn Lennon, Shirley Bassey, Tom Jones, Sylvester James, Bruce Springsteen, and most recently by American Idol contestant Jordin Sparks, during the March 20,2007 and May 15, 2007 telecasts. His other hits were "What is Soul?" (1967), "Supernatural Thing, part 1" (1975), and the re-issue in 1986 of "Stand by Me," following the song's use as the theme music to the movie of the same name. In 1990, King and Bo Diddley feat. Doug Lazy recorded a revamped rap version of the Monotones' 1958 hit song "Book of Love" for the soundtrack of the movie "Book of Love". He also recorded a young children's album titled, "I Have Songs In My Pocket," written and produced by Bobby Susser in 1998, which won a "Best Vacation Products Award For Children." King performed his signature song, "Stand by Me" on Late Show with David Letterman in2007. Ahmet Ertegun once said King had one of the greatest voices in soul history. "Til' I Can't Take It Anymore"